Just a quick look at the pods on this Trinidad Scorpion plant tell you that this isn't going to be mild. 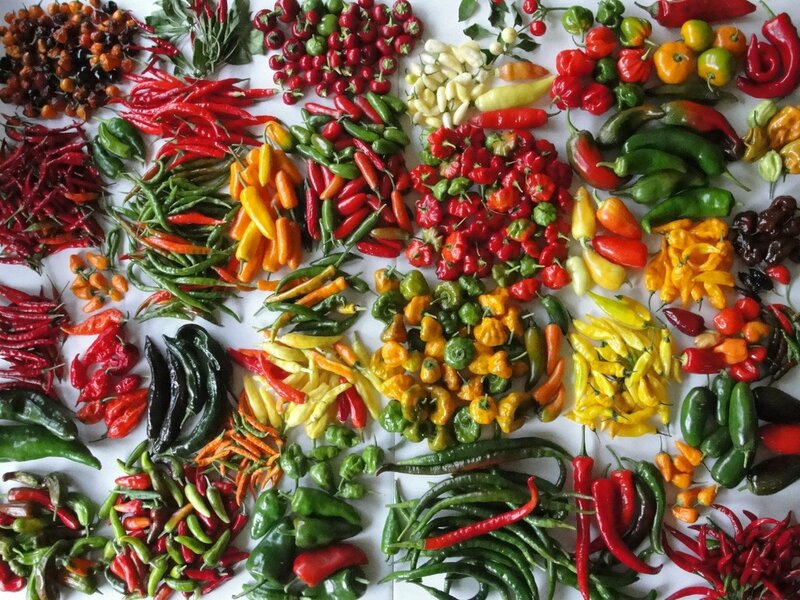 The plants themselves are quite tall and produce a good number of pods which mature from green - orange - red when ripe. 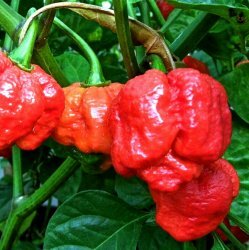 Their characteristic shape sees a two or three inch pendant which tapers to a sharp point, resembling a tail - hence the name, Trinidad Scorpion. This one has more dimples on the skin and is the new current world record holder for the hottest chili pepper in 2012 measuring at a scalding >2,009,321 SHUs. That's ~ 1,000,000 SHU more than the prior record holder (Bhut Jolokia). I will have more plants available in May 2013 so check back then if these are sold out.